One of the more bizarre stories of the past few days is that 12 former Tour de France winners — just under half of the 25 still living — think Lance Armstrong should get his seven ‘titles’ back. Which is about as laughable as the Wolf of Wall St, Jordan Belfort, reinventing himself as an ethics consultant. Fortunately, it’s not under consideration. But for yesteryear peddlers such as 1987 champion Stephen Roche and 1980 victor Joop Zoetemelk, having no Tour de France winner for seven years is a very bad look. Much worse, apparently, than proclaiming a victor that was doped to the eyeballs for each and every one of those races. Actually Andy, you were second in 2010 until Alberto Contador was done for doping and they gave you the title. Remember? The other argument often touted for forgiving Armstrong his sins is that everyone in cycling was doping at the time, as if he deserves some consolation for being the poor schmuck that got caught. Armstrong himself has wheeled out a similar line, telling Outside magazine just a few months ago “it was basically an arms race and we all played ball that way”. He also argued it would be “disrespectful to the sport” to leave the Tour de France winnerless for seven years. He said all this with a straight face, even when he was mixing his metaphors. But let’s indulge this fantasy for a moment. Let’s wash Armstrong’s tainted jerseys canary yellow clean, press them, fold them and return them to him gift wrapped and ribboned, complete with a ‘sorry for the bother’ card. Then let’s give Marion Jones the good news that she can have her five ill-gotten Sydney Olympic gold medals after all, along with a decent whack of compensation for the jail time she did. 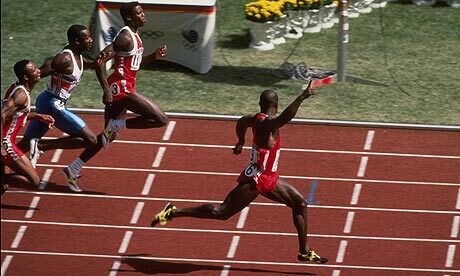 Imagine how thrilled Ben Johnson will be when we tell him we’ve accepted his story that one of Carl Lewis’ mates spiked his beer with stanozolol while he was waiting to be drug tested following his ‘victory’ at the Seoul Olympics. Well, someone had to win “the dirtiest race in history”, didn’t they? While we’re at it, let’s posthumously recognise Fred Lorz as the rightful winner of the 1904 Olympic marathon, for the sheer ingenuity of covering almost half of the course in a car. And because the bloke who came second was juiced on rat poison and brandy. Then we can pass a United Nations resolution to re-erect the Berlin Wall and rekindle the glory days of government-sponsored doping programs. And finally, let’s tell Spain’s 2000 Paralympic basketball team what a giggle we all had when they won the competition for athletes with an intellectual disability, when only two members of their team had such a disability. Sure, it meant intellectually disabled athletes were banned from international competition for 12 years but that’s all forgotten now. 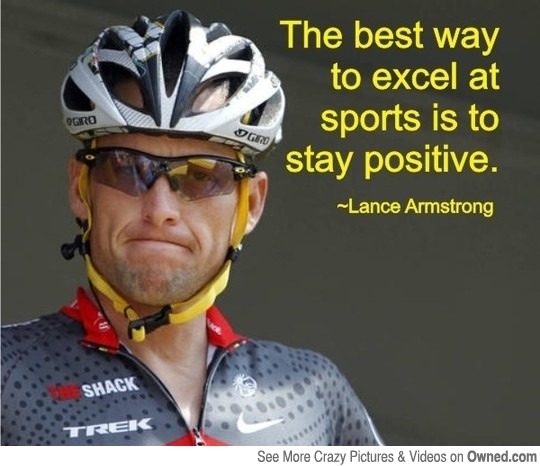 Armstrong has lost his credibility, his sponsors, his right to compete. He’s sold his house, his jet and various other knick knacks. I don’t care if he’s left with just the shirt on his back. Just as long as it’s not a yellow one. Thanks very much! I appreciate your support and your your comment. As for other forums, I can suggest a few depending on what sports you’re interested in and where you are. I agree wholeheartedly. If they let him have the titles back, it is telling any athletes today that it is OK to cheat, even if you’re caught you will still keep the titles. Not much of a deterrent, is it? Yes Lucinda, I find it incredible that any previous winners would support such a notion. Fortunately, Cadel Evans, Bradley Wiggins and Chris Froome were not among them. I still feel guilty about cheating in my half-yearly geography test in Year 8. 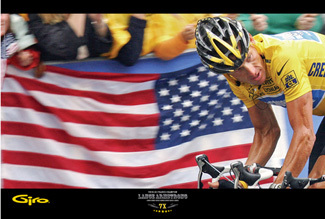 Unlike Lance, I don’t care if anyone else also cheated in the test, I still know it was wrong! Exactly! Contrition seems to be missing from the Armstrong gene pool. Thanks Jenny. The guy both fascinates and infuriates.